The colors of the fall season are marvelous! When nights start getting cool and overcast skies become more frequent, the deciduous plants will start to fade into the beautiful autumn colors that we all know so well. Large green deciduous trees fill the landscape with splashes of yellows, reds, and oranges. And trees aren’t the only plants that create such beauty. Many landscape plants, such as shrubs and perennials, will fill your landscape beds with these splendid autumn colors as well. 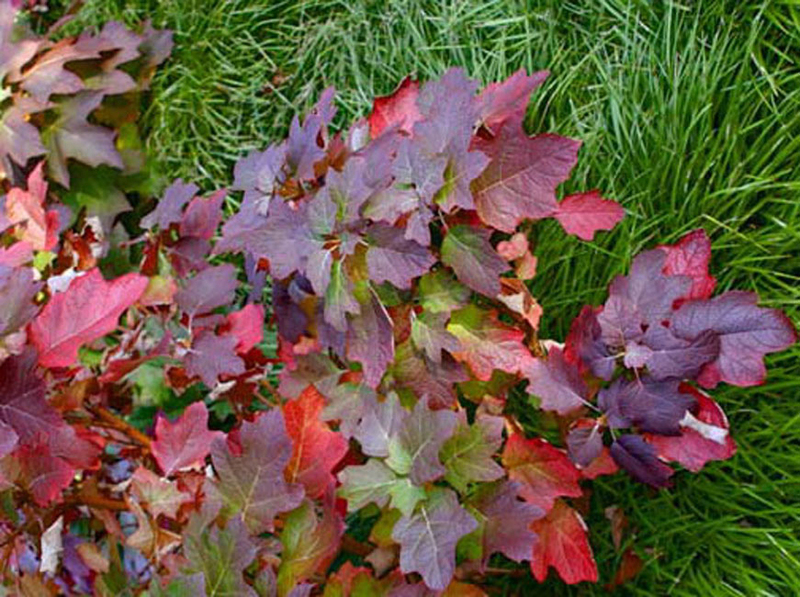 Sun-loving plants will generally show better fall foliage than those that are grown in the shade. The perfect weather for a beautiful fall display is rainy weather during the spring and summer, followed by a dry, warmer late summer and early fall. This season has just about the perfect set up for a spectacular fall season! Here are a few plants that may amaze you with their fall colors! 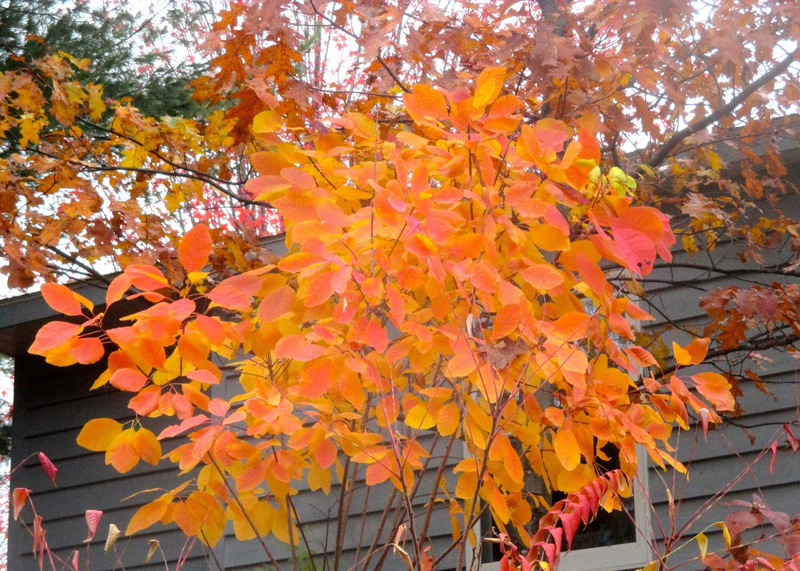 Smoke Bush or Smoke Tree can be allowed to grow as a shrub or be pruned as a small tree. This plant is named after the long, fuzzy stalks that stem out after flowering. The leaves turn yellow or orange-red in the fall. Depending on variety, the fall colors are a bright scarlet red or a vibrant orange. Pinkish and purplish flowers fill the Redbud in early spring and it’s heart-shaped, dark green foliage is graceful and attractive during the summer months. As autumn approaches, the foliage turns a pleasing shade of yellow. 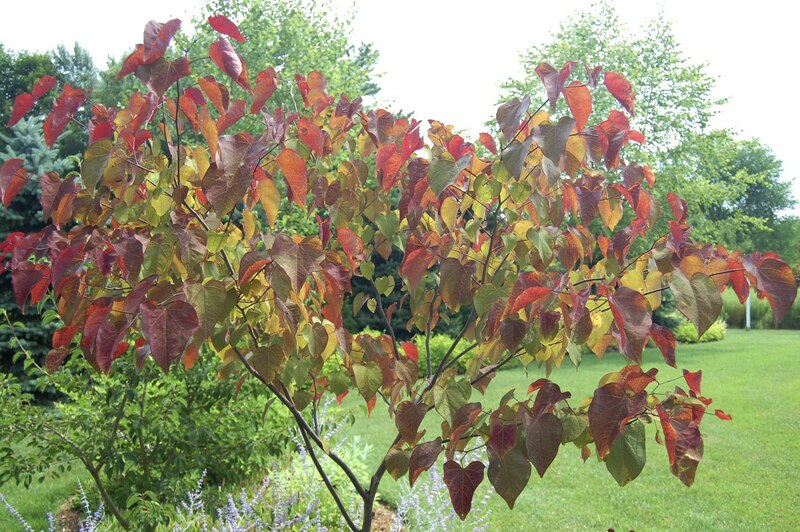 The eastern redbud ‘Forest Pansy’ is one of the few with reddish-purple fall foliage. Right after the white to pinkish flowers fill the Oak Leaf Hydrangea in the summer months, the leaves start to turn a mixture of red, burgundy and orange when fall approaches. 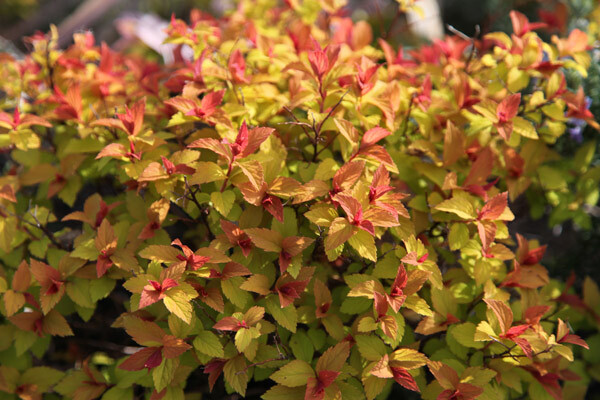 After the pink flower clusters in the summer, the small yellowish green leaves turn a beautiful combination yellow, orange, and red. 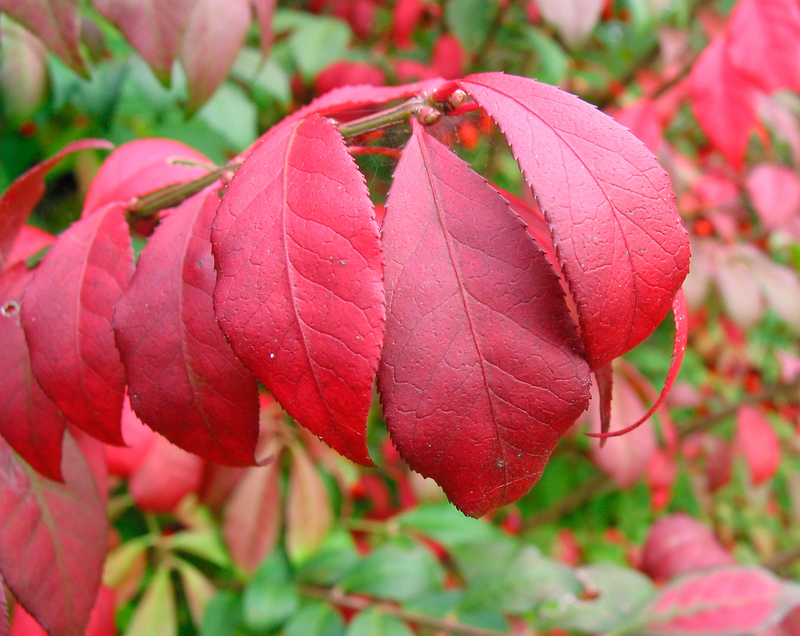 Burning Bush is a popular landscape plant, mostly due to its brilliant autumn color. Burning bush turns a bright shade of red as fall approaches.